In this artwork I use a photo-negative palet. This is one mighty strong working horse. What a powerful horse this Horse Big Fella. 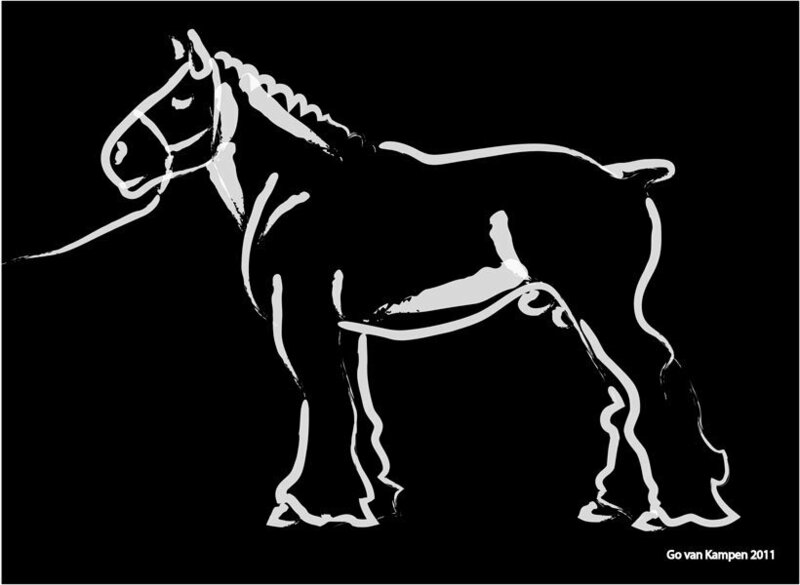 Horse, Horses, Big Horse, Working Horse, Horse in Black and White, Horse Art, Horse Painting, Horse Paintings, Modern Horse Art, Abstract Horse, Digital Horse Art, Equine Art, Equestrian Art, Hippique, Horse Big Fella by Go van Kampen.